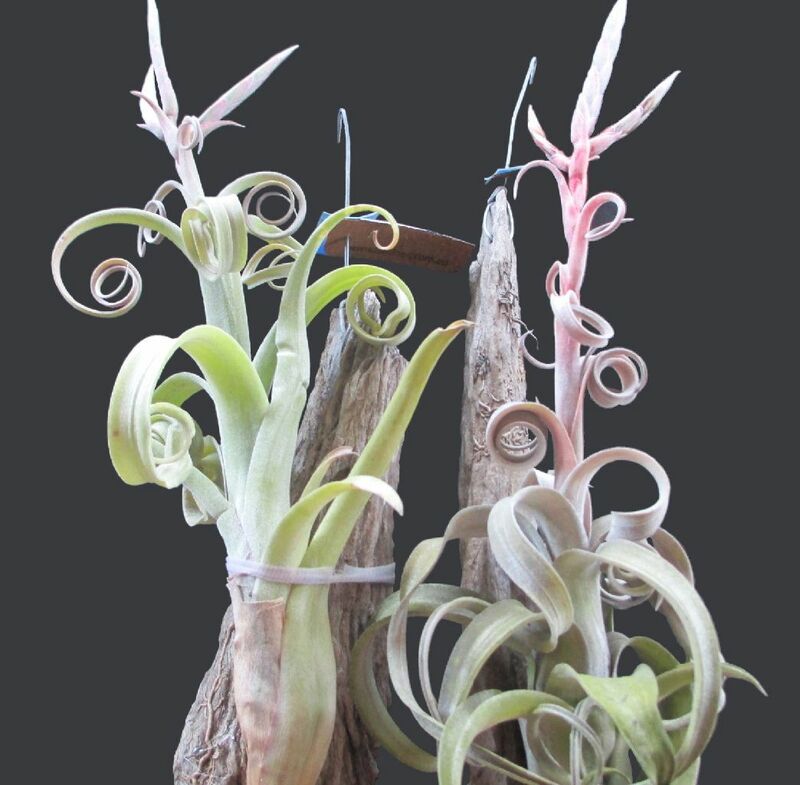 Curly Slim = intermedia x streptophylla. Note sometimes reverse parentage quoted. M.Dimmitt 1981. Asombroso = paucifolia? x streptophylla?. Possible natural hybrid but provenance unknown. Tropiflora. W.Timm. Chris Larson ... "Both are sold as T. Curly Slim & may be received from the RFI as such. The one on the right is the original & the one on the left is the remake (shorter and stumpier)."